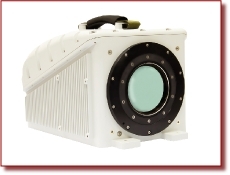 Karmiel, Israel | May 7 2012: Opgal Optronics Industries, which celebrates 30 years since inception, announced today that it will showcase its innovative line of advanced thermal camera and imaging solutions at IFSEC International in the UK from May 14 - 17. Opgal, known mostly for its innovative solutions and unmatched thermal picture quality, was founded in 1982. Its solutions are based on 30 years of development and are field-proven by hundreds of customers in over 50 countries. Recently named by IMS Research as one of the top ten perimeter security equipment providers in EMEA and APAC, Opgal is the second largest global provider of thermal imaging cameras to the perimeter security market and one of only two thermal imaging equipment providers to increase market share in 2011. The IFSEC exhibition will feature an exclusive first-time demonstration of two of Opgal’s newly launched cameras: EyeSec Fire Detection camera, the worlds’ first security camera integrating fire detection analytics; and another ground-breaking camera to be unveiled at the show. Also on display will be Opgal’s broad security product portfolio, including the RangeSec™, a cooled camera with detectors for extreme long-range observation of 13km or more, designed for a wide range of applications such as homeland security, anti-piracy, seaport security; and the CompactSec™, a basic camera with wide FOV for up to 360m observation, designed for short-term operation.